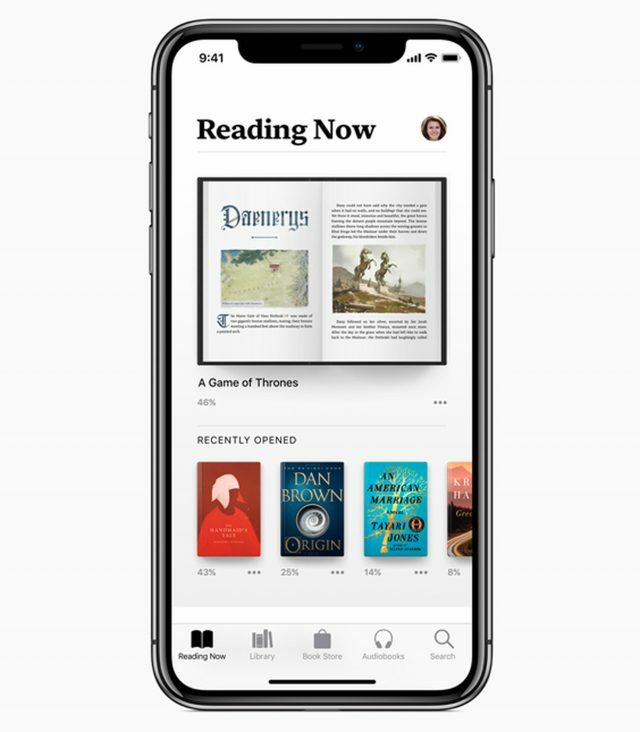 Apple iBooks is going to receive a tremendous redesign when iOS 12 comes out later this year. 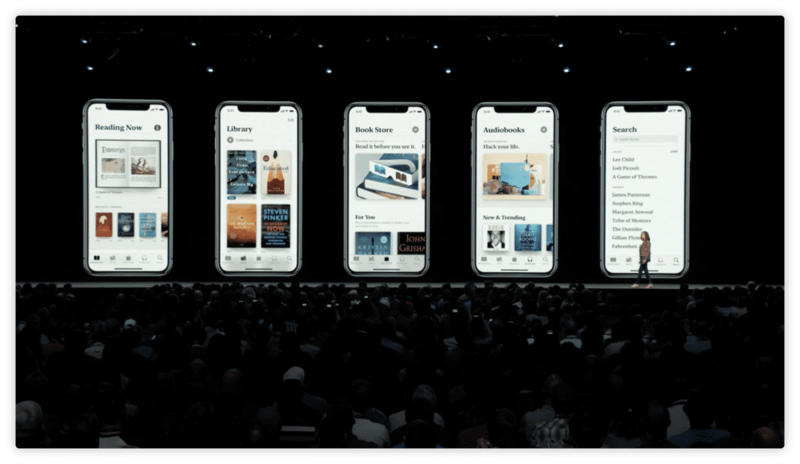 It has been rebranded as Apple Books because of the synergy between Apple News and Apple Music. There is going to be a reading now function which will show you what audiobook and ebook you are currently engaged in and will give you a sense how far along you are in a specific title. The imagery for this will be displayed as an open book with the book title underneath it. The Apple Bookstore has also received a massive facelift, with the overall design sense borrowing heavily from the App Store redesign that debuted with iOS 11. The current iBooks app has my books, Featured, Top Charts, Search and Purchased at the bottom of the app. This will change to Reading Now, Library, Bookstore, Audiobooks and search. This will make it easier to jump to the audiobook section, currently you have to open the bookstore then click on the audiobooks tab, so Apple is removing an extra step. I don’t know if Apple is going to be doing anything fundamentally different with the Apple Bookstore, aside from the redesign. It does not look like they will be altering their existing curation system or recommendation engine. Will Apple release new e-reading options or updating the font selection? Perhaps we will see a new audiobook player or added functionality? Developers just got their first taste of the first build of iOS so they can edit their apps to take advantage of new features. I suppose as the beta becomes more widely available we should be able to get a sense on further Apple Books changes or features.